Starting Friday, April 12, Shake Shack is offering a special "Game of Thrones" menu nationwide. Try the Dragonglass Shake or the Dracarys Burger. Earlier this week, news broke that Shake Shack's Manhattan location had a not-so-secret "Game of Thrones" menu. Order in Valyrian, the fictional language created by George R. R. Martin, and you'd be granted access to a meal of ice and fire. Now, Shake Shack has announced the menu will be available nationwide, starting Friday, April 12, a few days before "Game of Thrones" Season 8 returns to HBO. 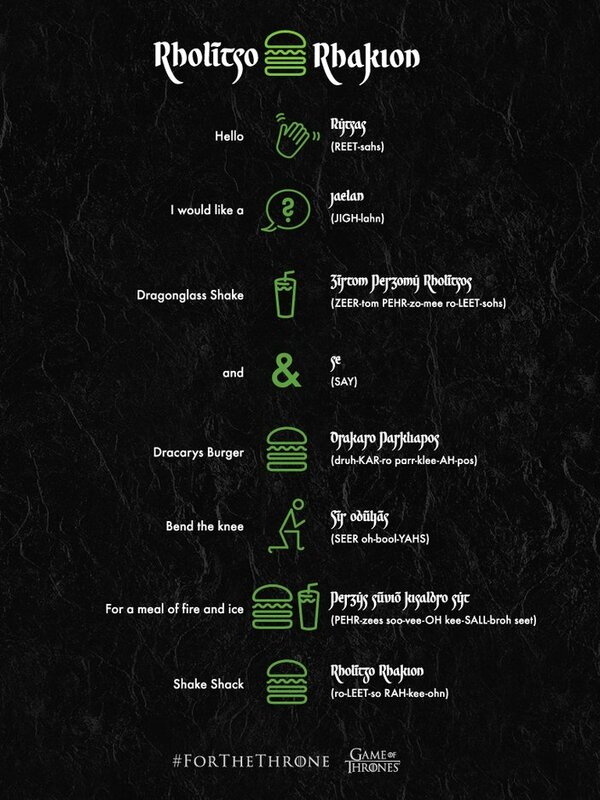 The "Game of Thrones" menu consists of the Dragonglass Shake ($6.59) and the Dracarys Burger ($10.99). Below is a description, packed with references to the series, provided by Shake Shack for each item. • The Dracarys Burger features a double Monterey Jack cheeseburger sourced from the finest head of cattle The Seven Kingdoms has to offer. Griddled by the fires of Drogon and Rhaegal, the burger is then topped with a fiery ShackSauce created from herbs and spices sourced from the conquered cities of Yunkai, Meereen and Astapor. The final touch are slabs of bacon imported from Essos – a Dothraki delicacy. Caution: may be too hot for non-Targaryens. • The Dragonglass Shake is a prime example of the Wall to Table movement. Custard is frozen with packed snow harvested beyond the Wall and hand churned by members of the Night’s Watch. Final prep occurs in Winterfell, where the shake is topped with shards of Dragonglass imported from the caves of Dragonstone. Please note supplies are limited as the Wall is currently undergoing major renovations. The icy shake will be available through May 19 at Shacks nationwide, excluding stadiums, ballparks, transit centers and airports, while the fiery burger will be available through April 21 at select locations. In the Philly area, the Dracarys Burger will only be available at the Center City Shake Shack, located at 2000 Sansom Street. 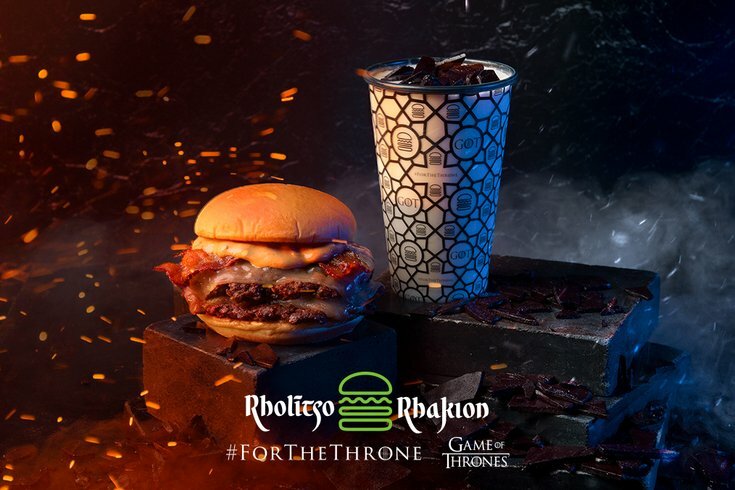 To order in Valyrian, use the guide from Rholītso Rhakion (Shake Shack) below. Shake Shack's Valyrian pronunciation guide for “Game of Thrones” menu items.